If there’s one man whose words continue to serve as a beacon of hope, of light generations after they were penned, it is Kabir Das, a 15th century Sufi poet & mystic. Kabir’s couplets believed in overcoming age-old superstitions and myths, and bringing down humans to their roots of love, warmth and care for each other. 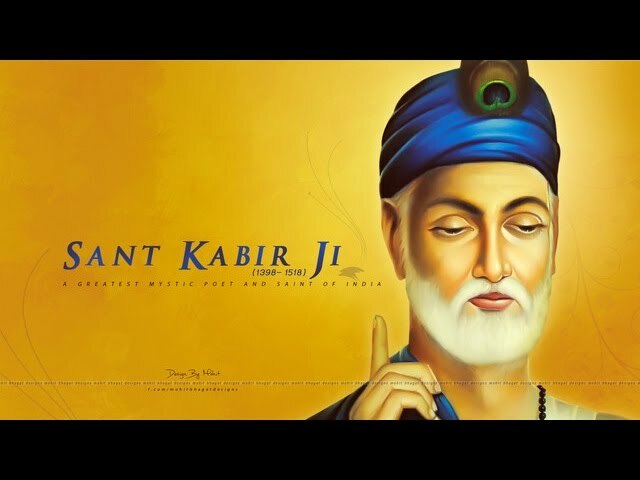 According to the legend, Kabir chose to leave the world at the age of 120 at Magahar in Uttar Pradesh. There was a fight between his Hindu and Muslim followers afterwards over taking the possession of his body. When they lifted the cloth that covered his body all they found were some flowers, which they then divided between themselves. Such was the charm of this man. In this particular series ‘Kabir Ke Dohe’, we revisit some of his much cherished couplets, interpret them and see how they’ve stood the test of time. Everyone remembers (God) in times of sorrow, none in times of joy. One who remembers (God) in times of joy, How could he ever have sorrow? How often do we pray without putting forth a want we wish for God to fulfill? How often do we remember God after we’ve been blessed with what we wanted all this time? Kabir says that such is the nature of humankind that whenever we are in distress or undergoing sorrow or need something, we look towards the sky and communicate with God. We silently pray to whoever is up there to vanquish all our troubles. But the moment the Almighty does that, neither our head turns up towards the sky nor our heart towards the entity that helped us heal, anymore. But the poet urges us to bring him/her back into our hearts even during times of joy (and not just pain), to be grateful for what we have been blessed with. If we do so, why would any suffering come our way? For we’ve finally stopped using God for our means and are cherishing him/her in the right manner. So what if one is big (in status), like a tree of dates. A tree which doesn’t provide any shade. A tree whose fruits are too far to reach. Kabir says that one might be big in status, that he/she might have all the wealth the world has to offer. But if they do not have an ounce of humbleness, respect for others and gratefulness for what they have, then they are just like the date tree which has a giant appearance but neither does it provide any shade to passers by nor does it have fruits that can be plucked with ease. In the corporate life, we often come across giants who have filled pockets but empty hearts. It is such people for whom Kabir’s doha stands true, even today for these people are of no use to humankind. Let your speech be such, that the ego of ‘I’ and ‘mine’ dissolves. That the words you speak soothe everyone, and soothe you as well. If there’s one thing humankind must be grateful for, it’s our ability to communicate thoughts, ideas and feelings. In this doha, Kabir has tried to emphasize the importance of this very communication in our lives. He encourages us not to take our words lightly, rather to use them wisely. Kabir asks us to speak in such a manner that our ego ceases to exist. In other words, he urges us not to boast or gloat or speak of anything to which the ego can attach itself. He encourages us to speak in such a manner that not only do our words soothe the listener, they bring calmness to the speaker as well. They say that the wounds of a sword might heal till the morning but the hurt caused by harsh uncalculated words stay till the end. And it is this power of words that Kabir wishes to highlight here. Felt a slight sense of calm after reading these dohas? Then watch out for the final part of the series!